On June 30, United States President Donald Trump persuaded the King of Saudi Arabia Salman bin Abdulaziz al Saud to maximize oil production in order to reduce the cost of fuel on the market. This decision will make the Saudis violate OPEC+ agreements reached at the end of June in Vienna. At the recent meeting of the Organization of the Petroleum Exporting Countries (OPEC) in Vienna, an agreement was reached to stop the reduction of oil production adopted at the end of 2016 by 1 million barrels per day, but not by 2 million. “Just spoke to King Salman of Saudi Arabia and explained to him that, because of the turmoil & disfunction in Iran and Venezuela, I am asking that Saudi Arabia increase oil production, maybe up to 2,000,000 barrels, to make up the difference. Prices to high! He has agreed,” Trump wrote on his Twitter page. In a phone call the day before, the Saudi King and U.S. President discussed oil supplies from oil-producing countries. Both leaders agreed about the need to maintain a stable situation in the market, the Saudi State News Agency reports. However, the report said nothing about the increase in oil production to two million barrels per day. It seems Trump has simply “leaked” the details of his conversation with the King of Saudi Arabia to the whole world. The question is not only whether Riyadh is ready to violate the OPEC resolution adopted the day before, but how it will obtain the consent of Caracas and Tehran in order to replace part of the Venezuelan and Iranian quotas, respectively. In Vienna, Caracas and Tehran stated that this is out of the question. All this can only mean one thing – Saudi Arabia continues to be a loyal ally of the United States in both regional and global affairs, despite an external demonstration of its multi-vector policy, including its frequent contacts with Russia. This could not have been otherwise, given the difficulties that the Kingdom is presently experiencing. 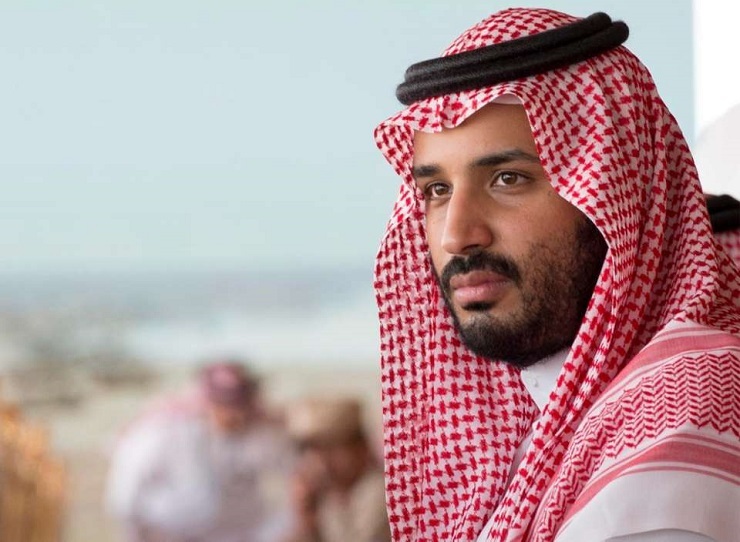 Within the country, Crown Prince Mohammed bin Salman’s repressions against the elite have caused a backlash in the form of an opposition bloc within the ruling class and even inside the Royal family. It is not a coincidence that at the end of April 2018, a number of senior officers led an attempted coup after which the heir disappeared from all sources of mass media for a whole month. These internal problems are supplemented with difficulties in foreign politics. On July 1 in Yemen, the Arab coalition led by Saudi Arabia proceeded to sign a truce with the Houthis after the failure of the assault on Hodeidah. Things haven’t been going well either with the creation of a military group under the auspices of the League of Arab States in Syria which would replace U.S. forces in the southern de-escalation zone in Al-Tanf. And apparently, Riyadh and Abu Dhabi’s joint attempt at changing the regime in Qatar by means of a blockade and sanctions is also failing. Over a year has passed, but Doha has no plans to give up. The only result is that Qatar is now producing less gas than Iran on the joint Pars field in the Persian Gulf. And this has only strengthened the position of Tehran which Saudi Arabia considers its worst enemy. In these difficult circumstances, the Saudis have virtually abandoned their previous views regarding the Palestinian problem and the status of Jerusalem, having in fact adopted the U.S. approach which is nearly identical to Israel’s position. Moreover, unknown to other Arabs, Prince Mohammed has increased his contacts with Tel Aviv to discuss the terms of the deal on the Palestinian issue. The latter is based on ideas that President Trump announced on the advice of his son-in-law B. Kushner who became the link between the U.S. Jewish lobby and Saudi Arabia. Muhammad’s recent secret meetings in Israel caused a wave of anti-Saudi protests in the Arab world, not to mention the extremely negative reaction of the Palestinians – both the Palestinian National Authority led by M. Abbas in the West Bank and Hamas in the Gaza Strip. And now, this list of problems is supplemented with a serious concession to the U.S. on the oil issue which will lead to a fall in oil prices. This will lead to a decline in the revenue of the Saudi Treasury and will also influence the budget of Russia and other oil-producing countries. But Riyadh is not overly-concerned. The main thing is to satisfy the demands of Washington on which Saudi Arabia relies in the upcoming confrontation with Iran. Apparently, the Saudi Prince hopes that Trump will give him the “green light” in the military operation against Qatar, since political and economic measures don’t seem to be working. Mohammad is relying on the Jewish lobby in the United States to influence Trump and Israel. It’s still difficult to say whether Mohammad will succeed in his plan or will simply be removed from his post by disgruntled members of the Royal Family with the backup of the intra- clan opposition. According to reports from Riyadh, the tension in the ruling al Saud dynasty is growing. Conservatives-traditionalists as well as the young technocrats led by Prince Al-Waleed bin Talal will not give up their positions without a fight. Especially since all of the Saudi heir’s unusual ideas in foreign politics have so far only lead to an increase in the costs of security and defense. And this in turn worsens the socio-political situation in the country as a whole. If Riyadh can still pull off a military operation against Qatar’s weak armed forces, when it comes to participating in military ventures against Iran (including those on Syrian territory) together with the U.S. and Israel, disaster is bound to strike. The Saudis’ short-term memory clearly makes them forget that in case of U.S. failure they will simply be “thrown offboard” as the U.S. had often done with both Saudi Arabia and its Western allies. Washington is used to acting like that and has no second thoughts about it. Especially as long as cold pragmatist Trump is seated in the White House, the national interests of the U.S. will stay his main priority. Washington gets rid of ” losers ” and weaklings quite easily. Mohammed, on the other hand, has clearly gone too far in his game with Israel and the U.S. Jewish lobby. This has caused complaints even from such a Saudi- dependent country as Jordan. Without waiting for the promised Saudi assistance after its wave of recent riots, Jordan began to seek help from other Gulf Cooperation Council members. Instead of allowing itself to be drawn into external political ventures and abandoning general Arab positions on Palestine, Riyadh would do better to bring order to its neighboring areas on the Arabian Peninsula. Russia too is clearly tired of waiting for Saudi Arabia to fulfil its generous multi-billion investment promises. Over the last 10 years of signing declarations with Saudi Arabia, the Russian economy has received no more than 2 billion dollars instead of the promised 20 billion. Meanwhile, the Prince’s restless and agitated attempts at finding the necessary vector for the development and transformation of the economic, domestic, and foreign policies of his country have only lowered the authority of the Kingdom which has only recently regained its standing after the “Arab Spring” series of “color revolutions” in 2011-2012. It seems that the heir is clearly incapable of coping with the role assigned to him by his father, King Salman.